Remember To Include #matcaspotlight To Be Curated Every Month! 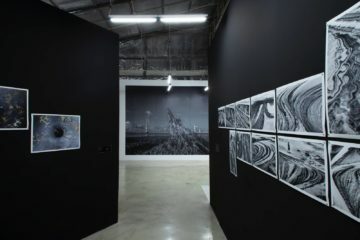 A reflection of the recent large-scale photography exhibition at The Factory Contemporary Arts Centre, its successes and shortcoming. Objectifs Documentary Award recipient shares his thoughts on the personal project "63 years" and working with a curator for the very first time. Phong shares his experience attending Angkor Photo Workshop, the shift in his personal practice and how photography helps him confront losses. Photographer Maika Elan, Le Nguyen Duy Phuong and artistic director Nguyen Anh Tuan discuss the values of residency programs. A personal date with photography by Dinh Nguyen in the newly opened Matca space for photography. Introduce two Vietnamese and Singaporean artists chosen for the artist residency program. Belgium photographer poses questions to the nature of documentary photography in Leica talkshow.